Any comparison of build time? @nophead If I recollect the one printed by uPrint took 7hrs to print. I printed this head in like 90minutes, it would probably take similar time. I printed the lion on 0.25mm layers in about 2.5hrs. Don't forget the dimension can actually print large objects without warp, and has real support material. 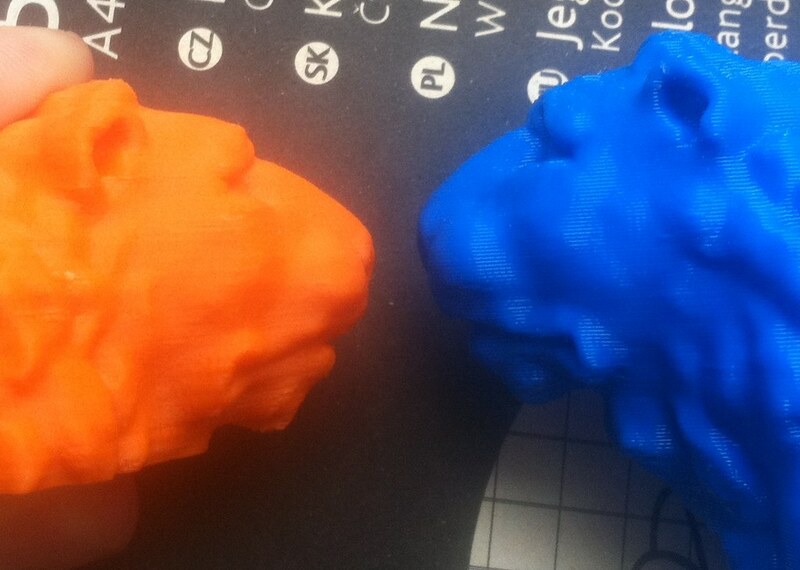 I honestly can't agree reprap has better quality than uPrint now. Maybe in a few simple cases, but overall we still have a long way to go. At least a lot of the battle is in software now, though. Hopefully the next tipping point will be one of usability, where anyone can install the software and start printing without first becoming an expert. 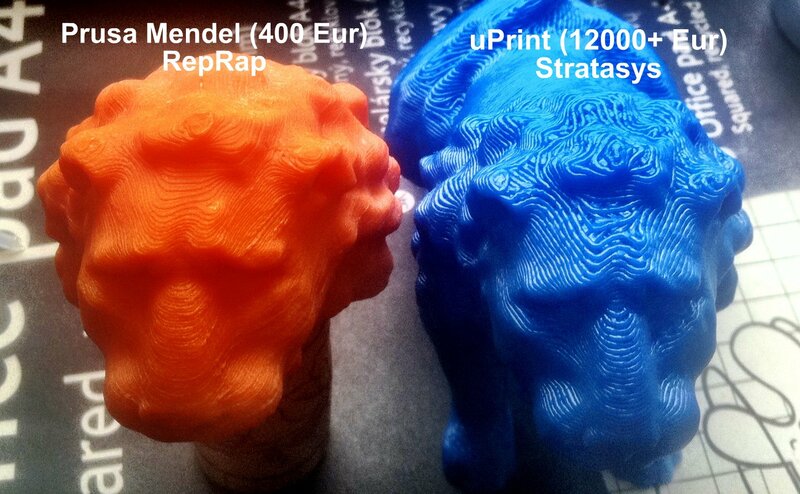 I started printing with a Rapman, and it is a breeze compared to getting a RepRap going. the orange one appears only to be a head? Flickr set of the lion done yesterday within 3h.